England celebrated Wayne Rooney's career but also showed glimpses of what's to come. There was a feeling among certain groups of supporters before this match took place that England were disrespecting the shirt. "How dare you honour your record goalscorer?" were the cries from unrelenting football fans of generations gone by. And indeed, after having failed to give great players of the past a send-off, it may have felt like a strange thing to do. But truth be told, Wembley actually played host to quite a good game of football. All the pre-match niceties of a guard of honour and the multiple cameras Wayne Rooney and his children had to pose for weren’t as big an inconvenience as we thought, and barring the crowd telling him to shoot every time he got the ball, it actually felt like an international match, rather than Soccer Aid. England’s first-half performance against the USA displayed that, with Jesse Lingard and Trent Alexander-Arnold scoring within two minutes of each other as the Three Lions showed they weren’t here to mess around, eventually winning 3-0. For someone who grew up around the Euro 2004 and World Cup 2006 squads, it’s worth noting that Rooney is now the last of them to flee the international scene. Sad, isn’t it? No more golden generation. But England are probably in a better position to compete now than they ever were under the likes of Sven-Goran Eriksson, who looking back at it was quite criminally given the opportunity of managing an England team only bettered than those who played in 1966. Gareth Southgate acknowledged the following in the build-up: "There was a general feeling that the team from 1966 weren't recognised as they might have been for a certain period of time." Those words are probably true but the game has changed since the 60s. That has never been more evident in the fact that on the very same day as this match, VAR was confirmed for the Premier League next season. 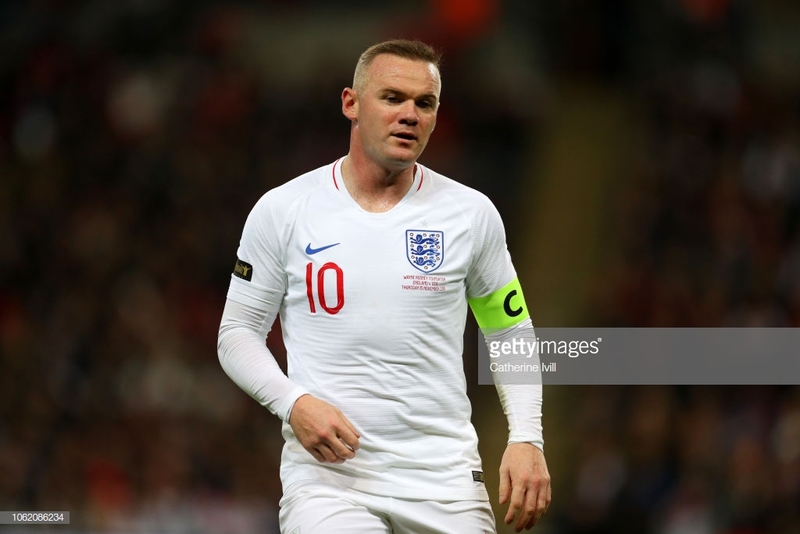 Southgate put to bed the idea of it being easy to earn an England cap too, and on the odd occasion on Thursday, Rooney showed signs of potentially why he could have stuck around for a longer period. At the age of 33 and on his 120th and final cap he didn’t look out of place. That probably says more about the American opposition than it does England’s resources, but the former Manchester United man did a solid job. The game may have been dead and buried by the time he entered the fray midway through the second period, something which certainly helped his cause, but his display wasn’t poor. His passing range, as it has been for some time, was first class - and his ability to find space on the edge of the area was impressive. It could have been a performance capped off with a goal, but unfortunately, Brad Guzan was in the way to spoil the party. This match was supposed to hold a certain nostalgia. We were meant to be commemorating all that was good about a forward who was once dubbed the saviour of English football. But instead of taking a trip down memory lane, we got more of a glance into the future. Last night, Southgate did actually learn about some of his players and potentially witnessed a changing of the guard too. It would be a big call to label Jadon Sancho a saviour as Rooney was, such is the talent coming through for the Three Lions, but against the USA he displayed an arrogance and a joie de vivre which was refreshing to see about someone wearing England colours. This was just his first start for his national team too. Sancho has been a revelation for Borussia Dortmund since swapping English shores for German ones. He is a trailblazer for young England players and provided evidence of such this week. His relentless energy in wide areas was tremendous at Wembley, showing exactly why he's got five goals and seven assists for Dortmund this term. The 18-year-old also contributed to his first England goal on Thursday, laying the ball on a plate for fellow teenager Alexander-Arnold to rifle an effort home. It was a sign of what England's right flank may look like heading into future tournaments and there were positive signs for others who will be aiming to force their way into Southgate's long-term plans. There were debuts on the night for Callum Wilson, Lewis Dunk and Alex McCarthy, all of whom did themselves no harm. This was especially the case for Wilson who looked a threat and scored the type of goal we've been so used to seeing from him for Bournemouth this campaign - getting in ahead of his man at the near post to prod home. Initially, it may have been hard to see how Wilson fitted into this England side. With good reason, Harry Kane is the main striker, but Wilson's work rate and off the ball movement showed what he can bring, even if he did miss a fantastic opportunity early on. A chance, however, we can forgive him for so early in his international career. In the immediate future, though, England face possible relegation. Yes, international sides can actually be relegated now. The UEFA Nations League has been aimed at improving the competitive nature between tournaments by removing rather pointless qualifiers and UEFA's aims were certainly achieved when England beat Spain during the last international break. If England are victorious over Croatia, they qualify for a play-off which sees them in the running to win the inaugural Nations League. If they lose, they are relegated, and if they draw nothing particularly interesting happens. Croatia are a different look side now, a few of the members of the squad that saw them get to the World Cup final in Russia over the summer have retired but they still have the likes of Luka Modric and Ivan Rakitic in their ranks. England will be searching for redemption. The Croats knocked them out in the semi-finals whilst a game behind closed doors which ended 0-0 in their Nations League opener did little to abolish many memories of that night in Moscow. There will be no sign of Rooney on Sunday, though. England will instead be focusing on the present this time, as the Three Lions next batch of stars aim to achieve Nations League glory. How Sven would have loved a crack at that.